Christmas Air Hockey is out! 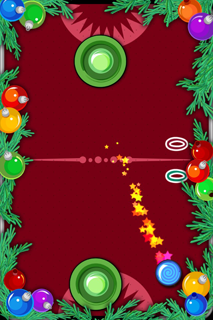 | Acceleroto, Inc.
Christmas Air Hockey is out! 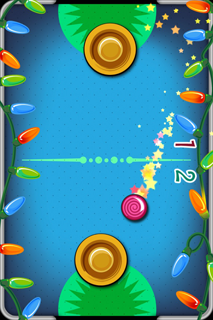 The Christmas season is here and so is Christmas Air Hockey! It’s the best from all of our games – Game Center and OpenFeint achievements and leaderboards & finely tuned difficulty levels for players of all ages & skill levels. 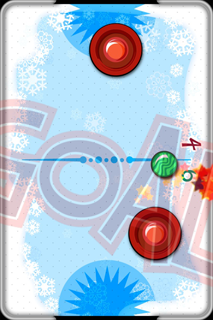 Christmas Air Hockey has full Retina Display support for your shiny new iPhone 4 or 4th generation iPod touch. For older devices, graphics sized for your device ensure buttery smooth game play. Choose between 5 table themes – all Christmas & holiday themed! Pick a table with Christmas lights, wreaths and ornaments, or just a simple snowfield or ribbon background. 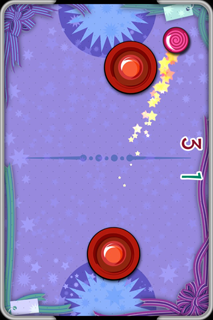 In every theme you’ll see star trail special effects on your fast-flying pucks – great to show off how great your iPhone or iPod’s looks and how fast you can win! Check out some screenshots below and grab the game while it’s on sale for just $0.99! This entry was posted in Blog, Christmas Air Hockey. Bookmark the permalink.